This past spring my youngest son got married. They had a wonderful wedding and a beautiful reception. At the reception his sweet wife decorated the tables with these little stumps and had cute little bottles and flowers on them. They were just perfect. After the wedding came and went they had no purpose for the little stumps anymore. I kept them and I just knew I would find a purpose. I came up with this wreath idea. 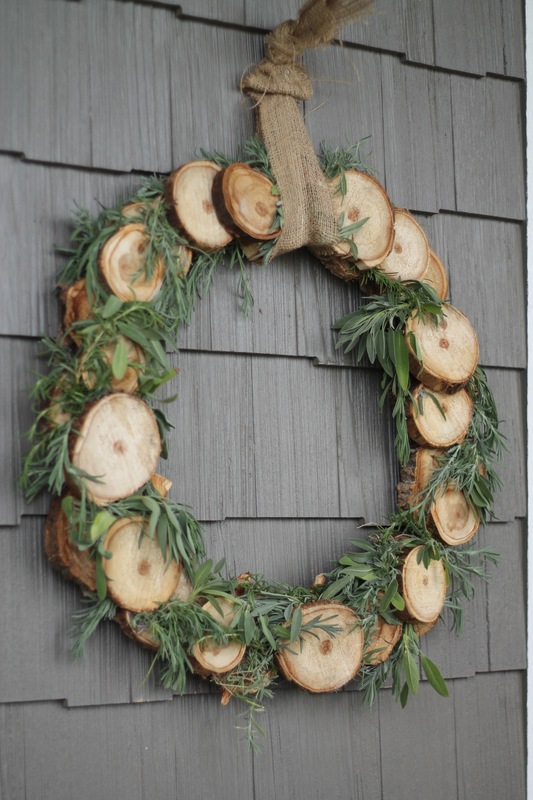 My initial thought was that it would be a fall wreath but now that I look at it it could be an any season wreath. Here’s how I made it! 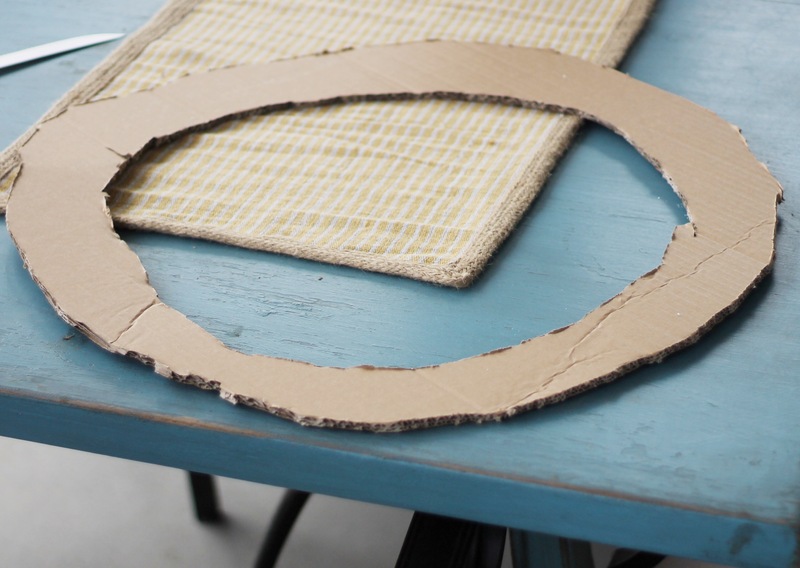 To make the wreath you first want to start by cutting out a cardboard circle the size you want your wreath to be. I just used a cardboard box to make mine out of. 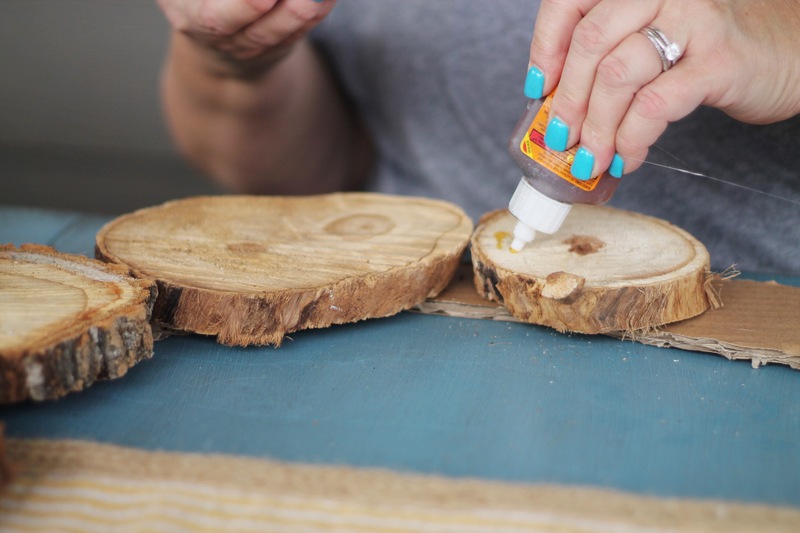 Next you will need to find some wood that you can cut into little stumps. 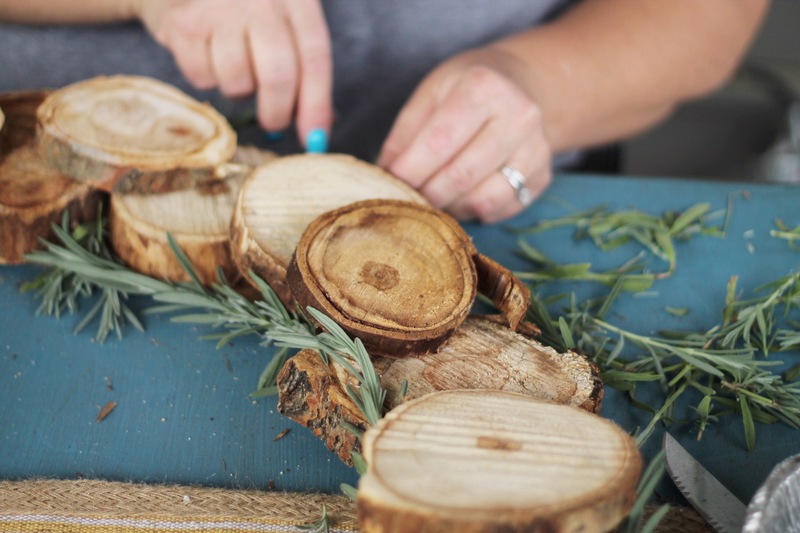 We obviously didn’t have to cut outs up since they were leftover from a wedding but you court easily find some firewood and cut the logs into slices with a table saw, hack saw or whatever saw you have. Next you will need to start flying the pieces of wood to the cardboard. I used hot and gorilla glue for each piece. I really wanted the wood to stay on. 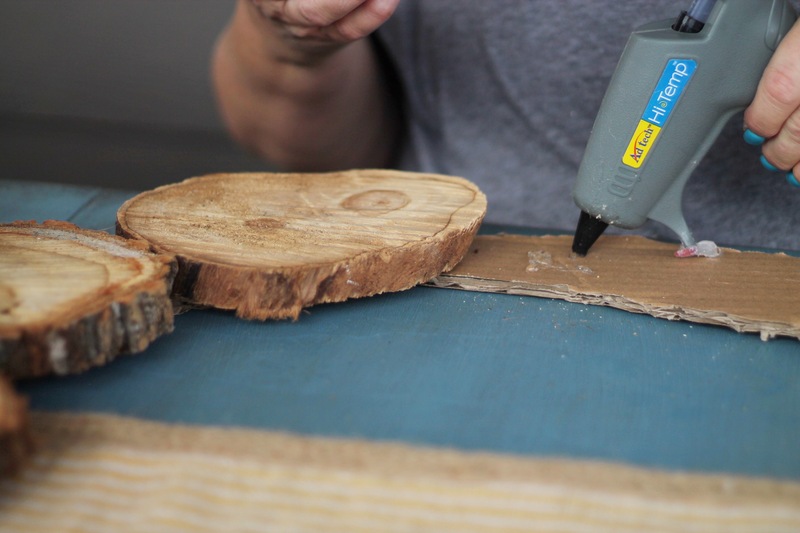 It does end up being pretty heavy so info think the gorilla glue helps hold the wood pieces together. I did a couple of layers of wood on mine to get a more three dimensional look. Next I started adding in greenery in the craks. I used piece of lavender, Rosemary, and sage from our garden. You could use fake greenery to make it last longer or use dried greenery was well. To glue the greenery on I just used a hot glue gun. 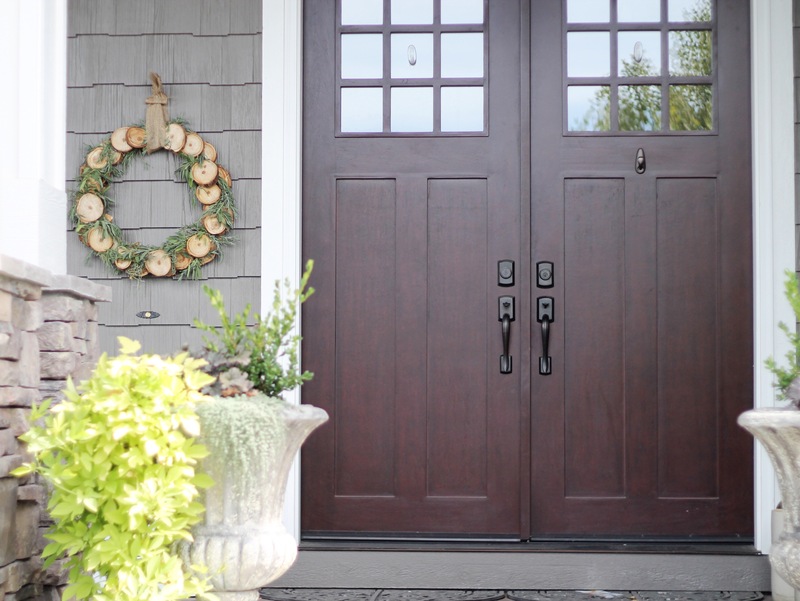 I then tied a burlap loop around the top and hung it on a nail near my front door. 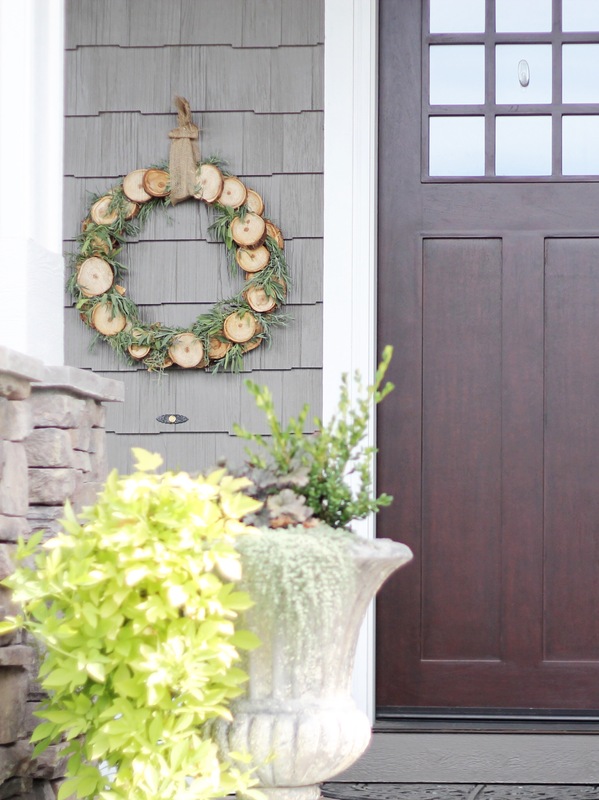 For fall you could place a few small pumpkins sitting on the bottom of the wreath. For Christmas you could add some evergreen leaves and add some flocking. 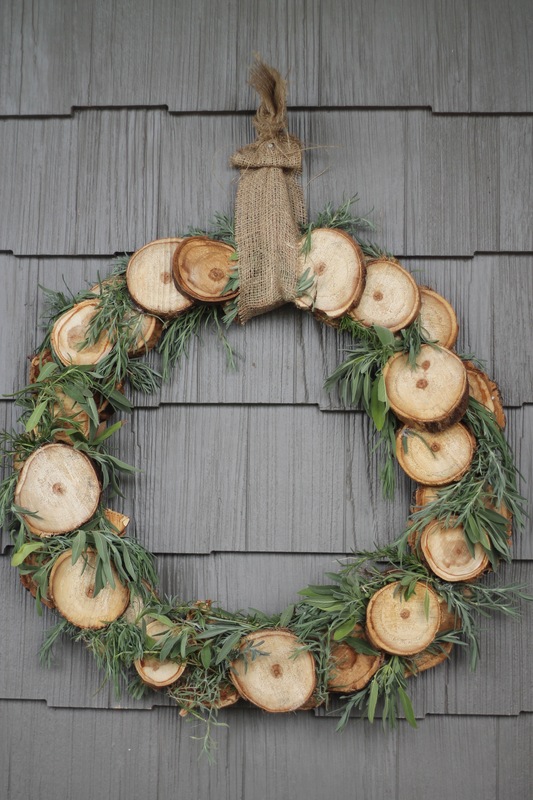 You could leave the wreath without greenery on it. You could place a welcome sign in it. The possibilities are endless. I hope you try out this fun uniqe wreath!